It’s a beautiful day in Manchester and four friends are meeting for a birthday lunch. But then they witness a shocking accident just metres away which acts as a catalyst for each of them. For Laura, it’s a wake-up call to heed the ticking of her biological clock. Sensible Jo finds herself throwing caution to the wind in a new relationship. Eve, who has been trying to ignore the worrying lump in her breast, feels helpless and out of control. And happy-go-lucky India is drawn to one of the victims of the accident, causing long-buried secrets to rise to the surface. 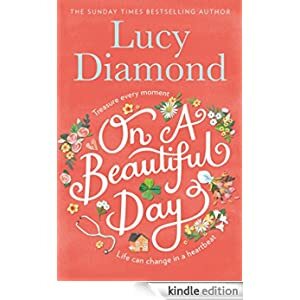 Buy this uplifting novel for only 99p today. Audiobook: £2.99.